Yes, it is an amazing camera. Yes, it has superb video quality. And yes, when shooting in the dark, the camera can go up to a gazillion ISO. 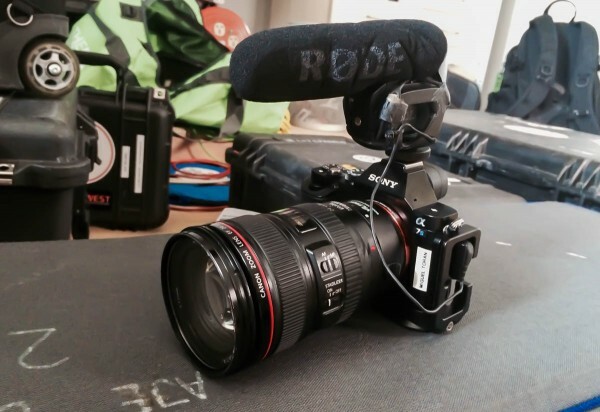 But how well does this camera work for news shooters on the field? 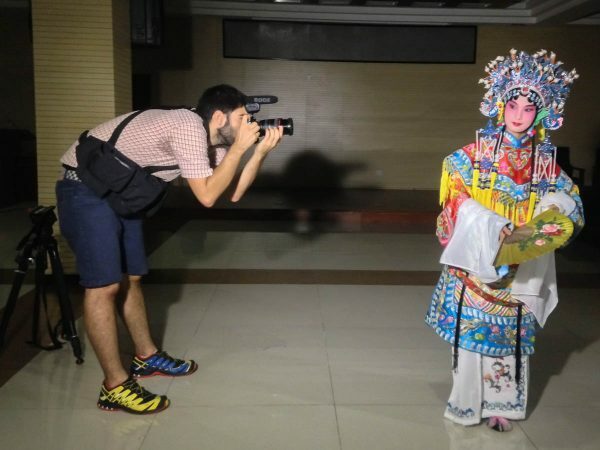 China’s Peking Opera tries to charm new crowd from miguel toran on Vimeo. I bought the Sony a7S because I wanted to have a small camera I could take with me everywhere. I didn’t need it for video work. I had the Canon C300 for feature stories and the Sony PMW-500 and the PMW-200 for daily news, as well as the 5D mkIII and 1D IV as extra cameras. Like many of us in this profession I started as a photographer and later I went into video production. Before, I used to carry my reflex everywhere, but with smartphones being able to take great still pictures I started leaving the camera at home until finally I stopped shooting proper photos altogether… I felt somehow guilty about that. So for a long time I’ve been searching for that perfect little camera able to fit in my backpack and go with me everywhere. For a while, I was convinced I should buy the Fujifilm XT-1. But then the a7S was showcased and it checked all the boxes on my list. Plus, it had promising video capabilities. I had to buy it. I’ve been using the camera for a few weeks now on several feature stories for Al Jazeera English. Before, for similar pieces, I would use the C300. At first I was lazy about using the a7S for video shooting since I didn’t want to go back to the hassle of changing the ND filters and dealing with the lack of proper audio inputs and controls. But since I already had all the accessories from my Canon DSLRs, I gave it a try. China accused of targeting Christian symbols from miguel toran on Vimeo. Just one day after buying it we travelled to eastern China to shoot a story about authorities removing the crosses from Christian churches. Maybe it was not the best story to start with, since it was the kind of report where police can chase you anytime and there was no time to properly set up interviews and sequences. Luckily, I was travelling with a very patient reporter. 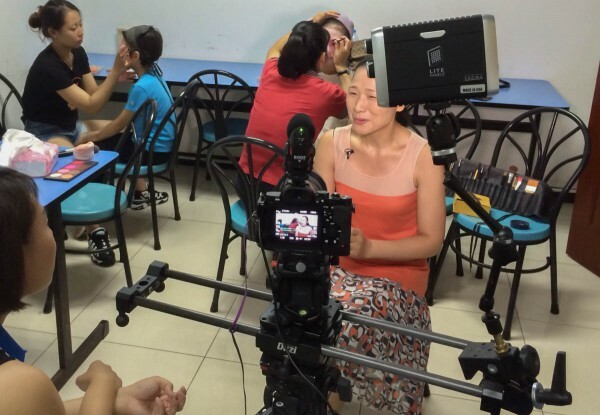 The other story was a short summer feature about kids learning Peking opera. I’ve since used it for a couple more stories, but they have yet to air. I really like the camera, and the reason is that it’s a lot of fun to shoot with it. The EVF is sharp and clear, which means you don’t need to use bulky external viewfinders. You can have the camera really close to your face when shooting handheld and that helps with stabilization. The EVF is so clear that it makes it quite easy to focus, especially with the peaking option. There are plenty of customizable buttons that give full control of almost every option when shooting video. My main complaint, though, is the record button. Clearly, the engineer/designer who placed it on the side had no idea about how a videographer holds the camera. Currently, the shutter button can’t be assigned to start recording when in movie mode; I hope this is addressed with a future firmware update. Another problem is that the custom white balance can’t be set unless you go from video mode to photo mode and back to video mode. Sony, please address this too. One of the major headaches I’ve had with this camera arose when using EF mount lenses, so was not Sony’s fault. I bought a Metabones adapter, apparently the latest mark IV version. Using it has been like playing roulette. When changing lenses they often stop communicating with the camera and it becomes impossible to change the aperture. On some occasions the a7S totally locks up. Sometimes this is solved by removing the lens, sometimes you need to power off the camera, and sometimes it’s necessary to remove the battery. Those are too many steps to go through when you need to change lenses quickly. I went to the store that sold me the adapter to try other other Metabones, and it happened in almost the same way with all of them. After that I decided to buy the much cheaper Viltrox II adaptor and it works better than the Metabones. As for the Metabones, some people had not any problem with them, and others have gone through several versions without any luck. Not ideal for a $400 product. If the adapter works, it powers the image stabilization motor of the Canon IS lenses and that’s great for handheld shooting. I have only used EF mount lenses, not the Sony’s full frame FE-mount ones, but I may consider buying one, the Zeiss branded 24-70 f4. Unfortunately, one of the drawbacks of the camera affects the way you shoot with full-frame lenses like Sony FE lenses or Canon EF. I am talking of course about the excessive rolling shutter when recording in full frame. It’s really noticeable with pans and handheld. The APS-C mode reduces the jello considerably but you lose the full frame. I wonder if the Metabones Speedbooster + APS-C mode is the best combination against rolling shutter while keeping the full-frame look… unfortunately with the bad Metabones experience I am a bit reluctant to try it now (Ed – I would recommend using the Metabones Novoflex mechanical only Sony Alpha to E-mount adapter if you are worried about the electronics, although you don’t get any image stabilisation this way). The APS-C crop mode by itself is a great feature for news shooters, giving you two lenses in one, very much like the extender on the ENG B4 lenses. The Sony a7S records 8 bit 4:2:0 internally but the XAVC-S codec must do some kind of magic because the picture quality is really good. I’ve been using Cine2 Gamma with Cinema Color Mode and it grades nicely. I want to test whether with Cine2 and Pro Color Mode it’s possible to get the same dynamic range with a more vivid picture that needs less grading. I don’t see myself using S-Log for short-turnaround news since S-log really needs to be exposed perfectly. Maybe if Sony introduces the option of loading LUTs in camera I’ll jump onto the S-Log train – but for now I don’t need it. Also, the minimum ISO of 3200 when shooting S-Log will force me to carry a new set of strong ND filters, because the variable ones are not enough on bright exteriors. I’m really satisfied with the quality of the a7S audio. For interviews, I used either the Sennheiser ENG G3 wireless system or the ME66 shotgun. For natural sound I tried the Rode VideoMic, but the rear part of the device will touch your forehead when looking through the camera’s viewfinder. So if you need to buy one, the VideoMic Pro is a better option. The internal microphone is much better than on any other video DSLR I have tried so far. It can be used for natural sound if it is not windy or very contaminated, and even for soundbites in an emergency. Another plus is that the audio levels can also be adjusted while recording. I hope Sony soon launches its new XLR audio jackpack that connects directly to the multiple-interface shoe, so we can have XLR inputs and two-channel recording on top of the camera (instead of having to use yet another dangling cable). I guess this jackpack will shorten the battery life even more; as it is I had to use 3-4 batteries for a normal day of news shooting. I’ve been editing with Final Cut Pro X. At first I was transcoding the a7S files (optimizing as FCPX calls it), but this takes a really long time; much longer than the Canon XF or the XDCAM EX files. So I’ve been skipping the transcoding step and working natively with the MP4 XAVC-S files on FCPX, which seems to work just fine. Overall I’m really happy with the camera. It’s an impressive little piece of gear for $2,500. It really can be used as the main camera for feature stories and, as mentioned earlier, I had a lot of fun shooting with it. That for me is just as important as the tech specs. Miguel Toran is a staff cameraman for the Al Jazeera English network based in China. You can see more of his work on his website. Miguel Toran is a freelance videographer, working with Al Jazeera English and BBC, among others. He has been based in Asia for more than 10 years, covering news and shooting documentaries around the region. He is also co-founder of DupleLab, a Hong Kong based company focused on branded video and multimedia marketing content.